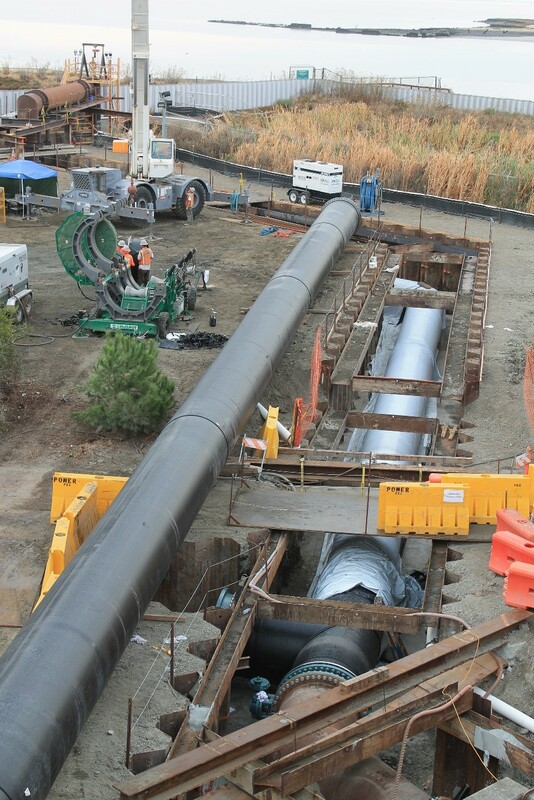 The 48-inch pipeline project was completed in November 2015 to resolve recurring leaks on a 2.5-mile pipeline between the Redwood City Pump Station and the San Carlos Pump Station. Due to the original pipeline design, which included single O-ring bell and spigot-jointed concrete pipe installed in Young Bay Mud, the 48-inch pipeline was experiencing upwards of 75% of all leaks in SVCW's conveyance system. To remedy the situation as quickly as possible, final design for the installation of the 48-inch replacement commenced in 2012. 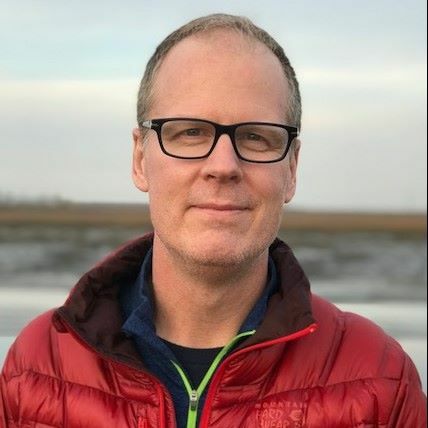 This new section of force main involved unique challenges and complexities including a variety of jurisdictions and land ownership; unusually challenging and variable soil conditions; three water crossings; environmentally sensitive bay lands; urban congestion; and maintaining continuous functionality of the conveyance system. Construction was completed in 2015 using traditional and trenchless microtunnelling construction methods. SVCW installed two new cogeneration engines that operate using biofuel (methane gas) to produce electricity and heat, associated biofuel treatment system, electrical components, structural modifications, Supervisory Control And Data Acquisition (SCADA) programming, and piping/valves. SVCW’s new cogeneration engines replaced an engine that had reached the end of its useful life. 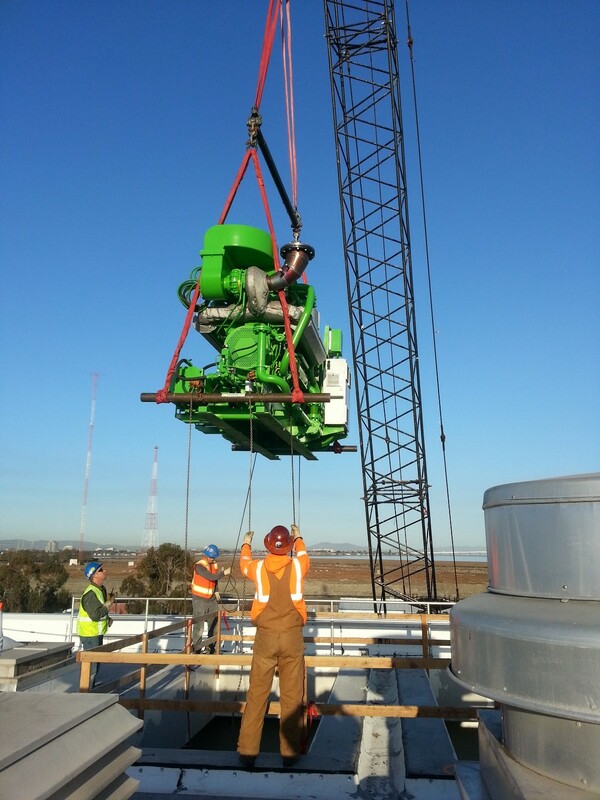 Operating since January 2015, Cogeneration supplies electricity to process equipment and reduces the electricity SVCW purchases from Pacific Gas and Electric Company (PG&E). Heat from the engines is used to warm digesters and buildings to reduce natural gas purchased from PG&E. By consistently producing over 60% of the treatment plant's electrical demand, estimated annual savings from cogeneration is $1.1 million in fiscal year 2017-18. The Operations Control Building was completed in 2012. Funded through bonds and a State Revolving Fund loan, it replaced the original control building built in 1980. 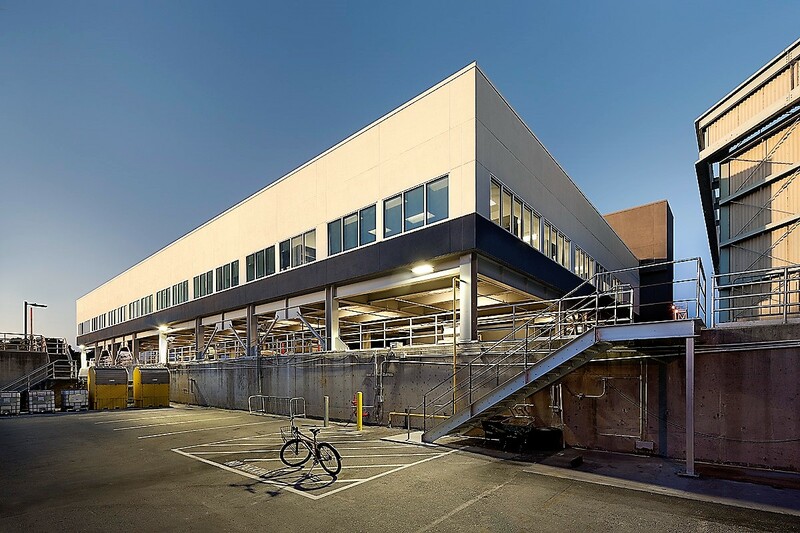 The new building consolidated management and operational leadership, upgraded technology solutions, and created a state-of-the-art control center. Final effluent from SVCW's treatment plant is pumped from the main structure and discharged into the San Francisco Bay through a diffuser near the San Mateo Bridge. The original pipe between the main structure and the levee was built in 1980 and found to be irreparably leaking in March 2015. Diver investigations of the old concrete pipe joints identified varying degrees of gaps beyond what would be expected normally, making it difficult to identify a single specific leaking joint. The location of the pipe was extremely challenging and delicate, and required the segment to be bypassed. Additionally, work was further complicated by the presence of young bay mud substrate that requires a cofferdam shoring system. 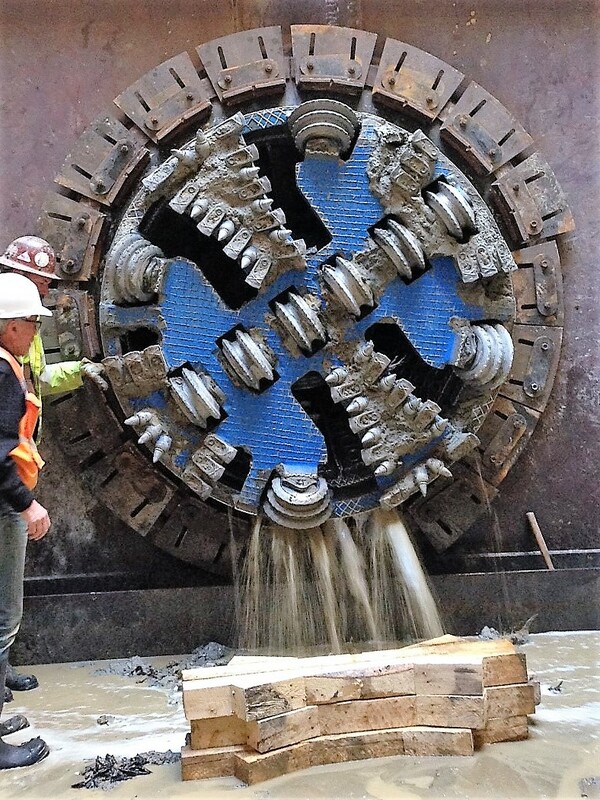 The repair replaced the entire length of reinforced concrete pipe from the main treatment structure to the levee with a new, continuous fused section of 63-inch High-density Polyethylene (HDPE) pipe. Using an approach to bring a new pipeline onto the treatment plant property shortened the length of the project and significantly reduced its overall cost.